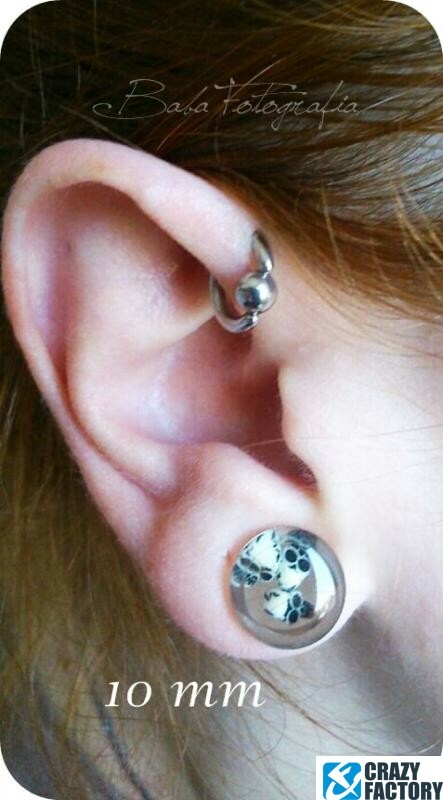 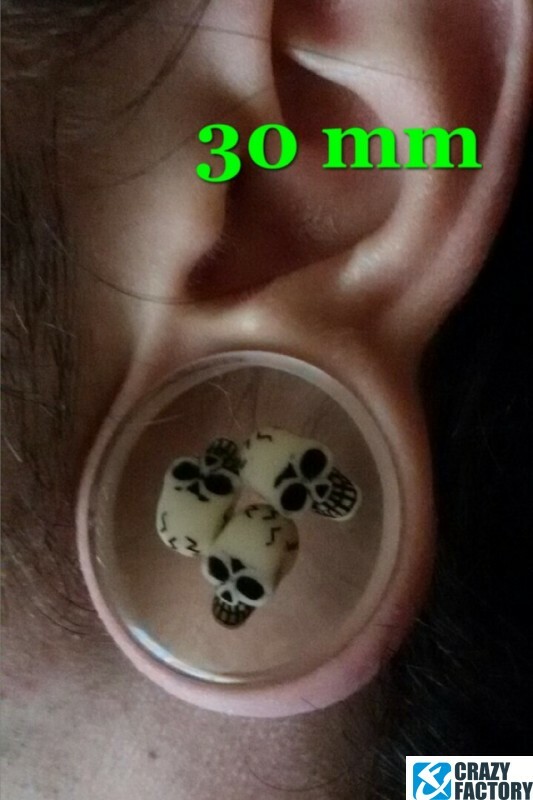 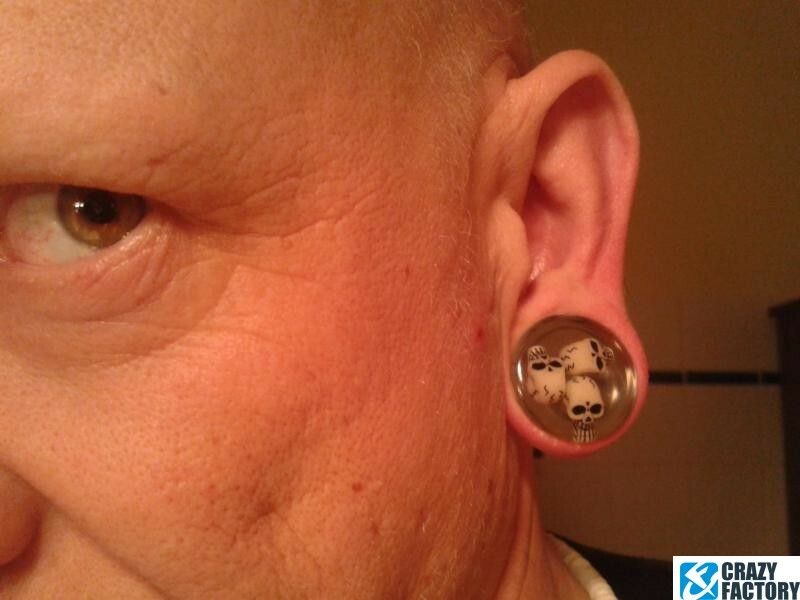 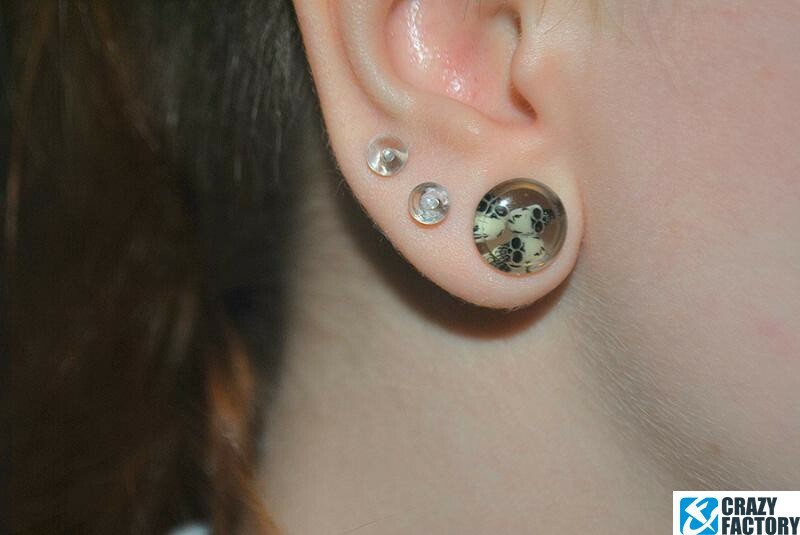 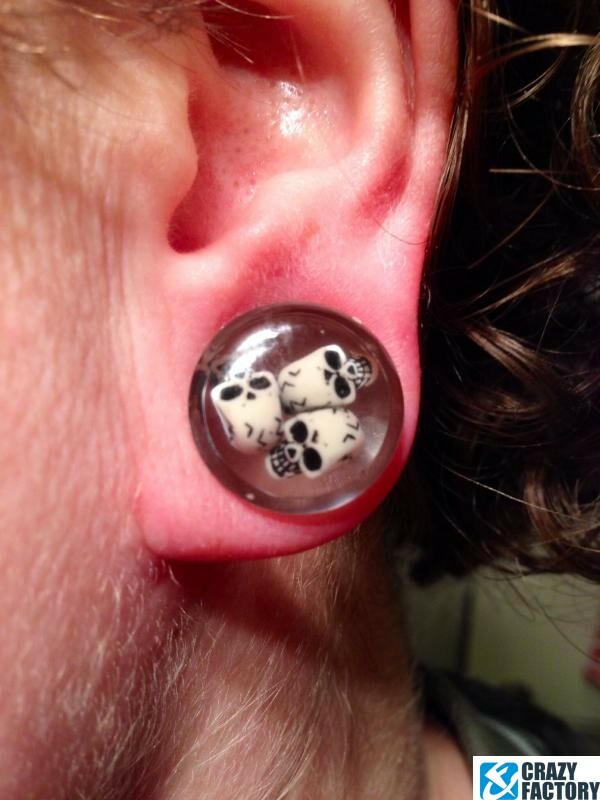 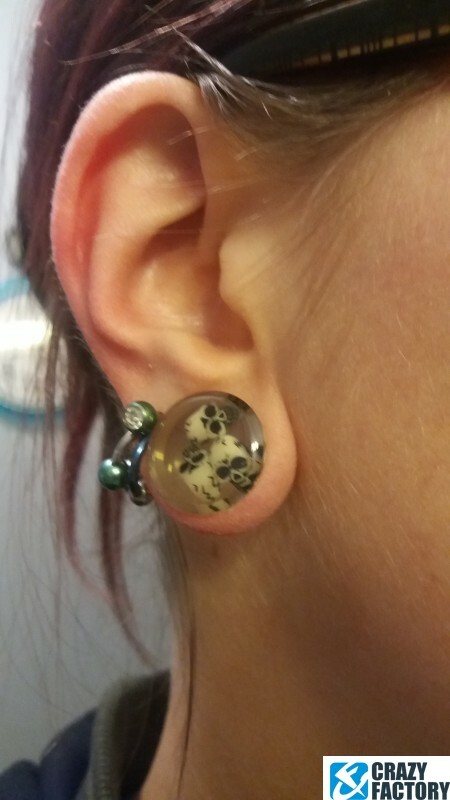 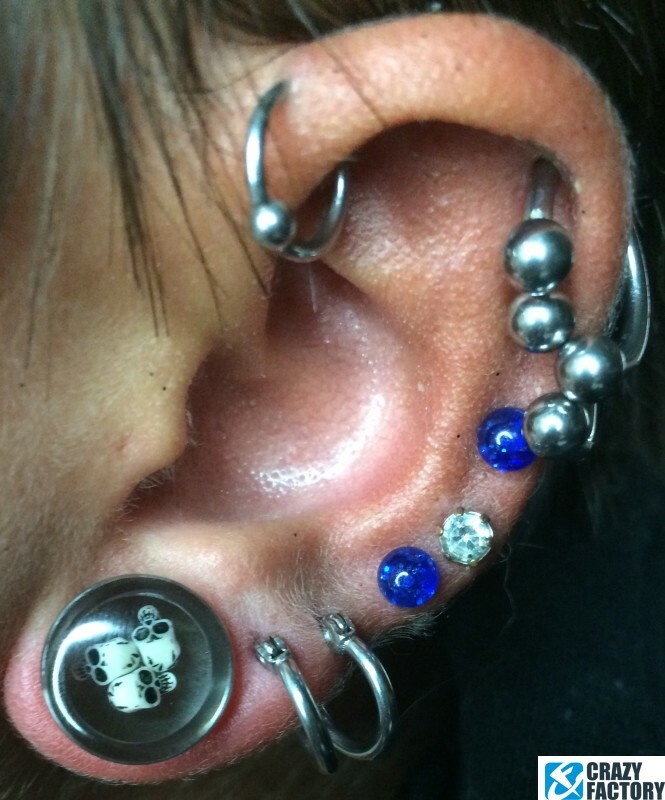 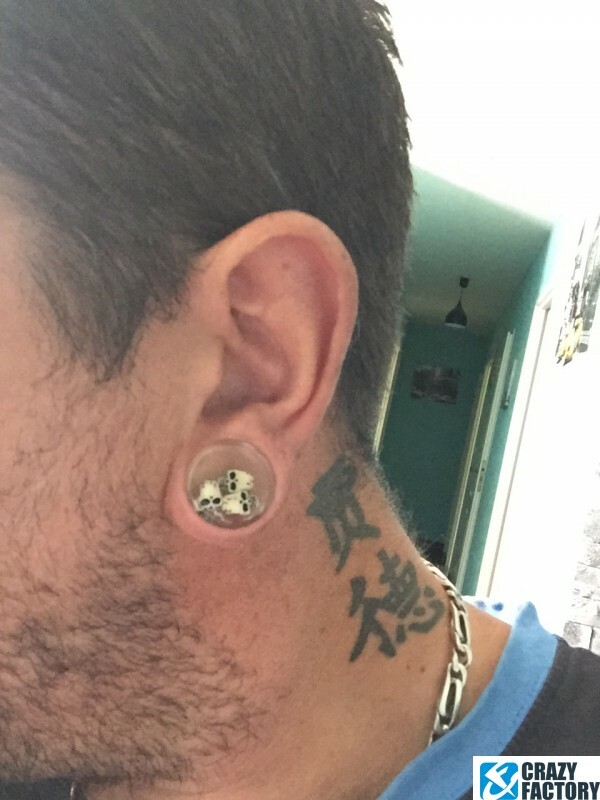 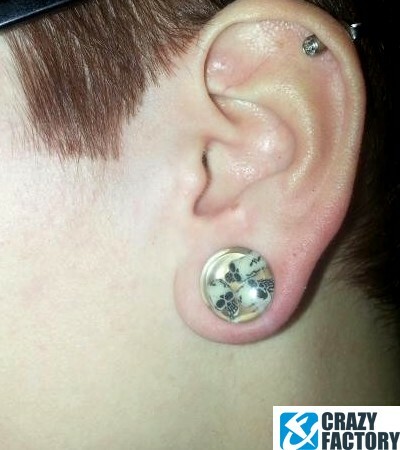 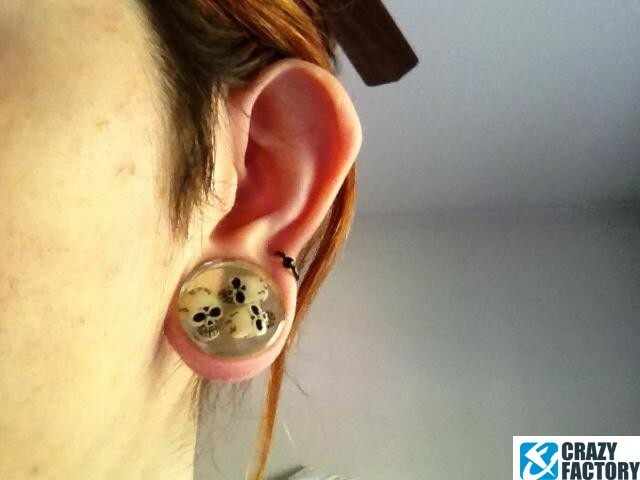 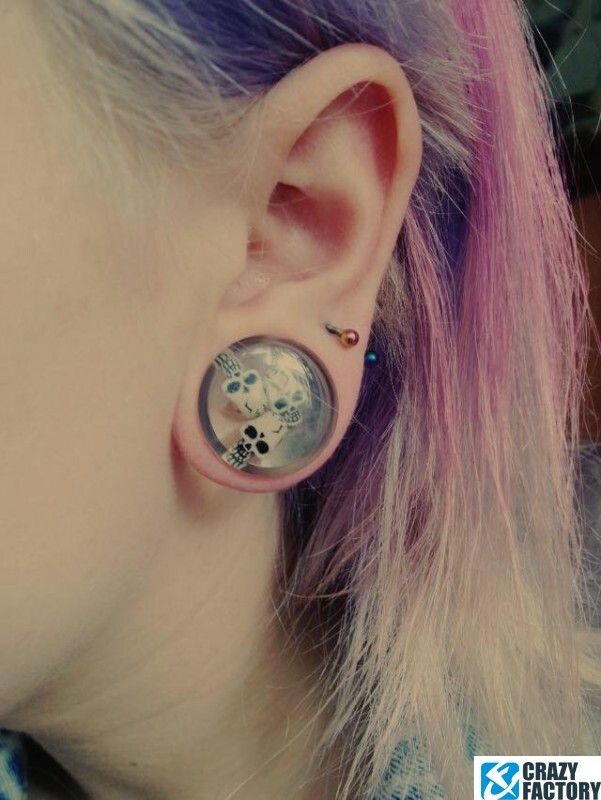 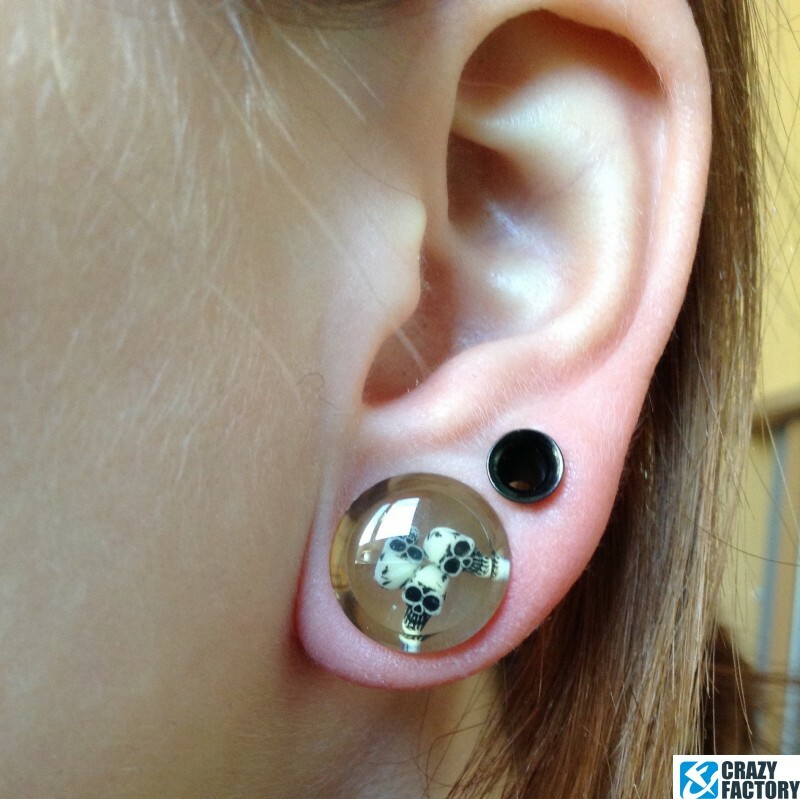 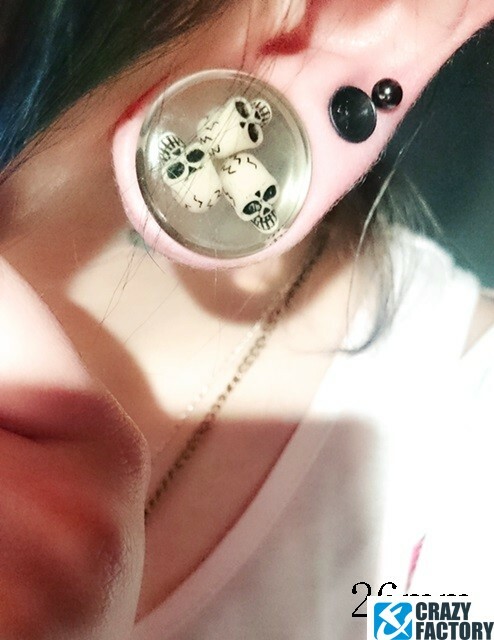 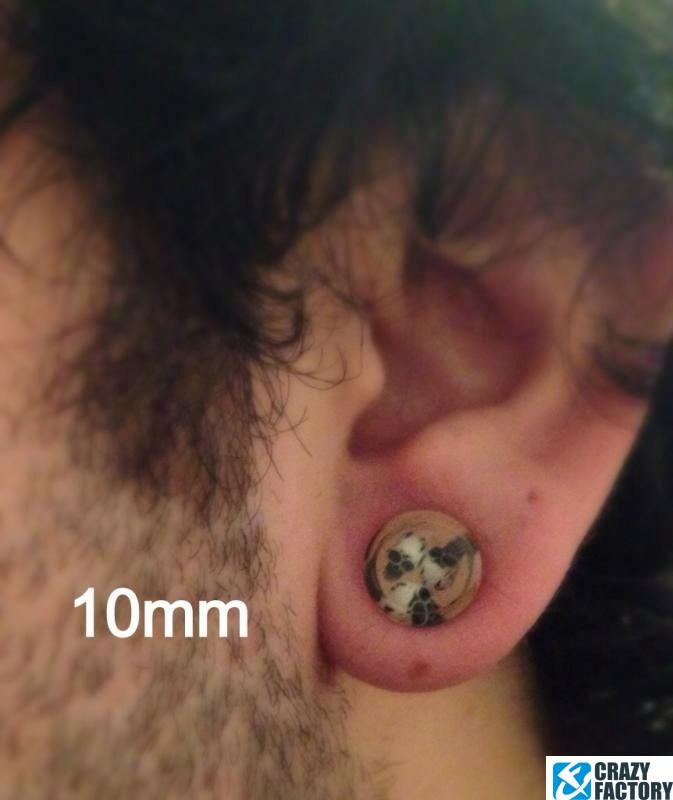 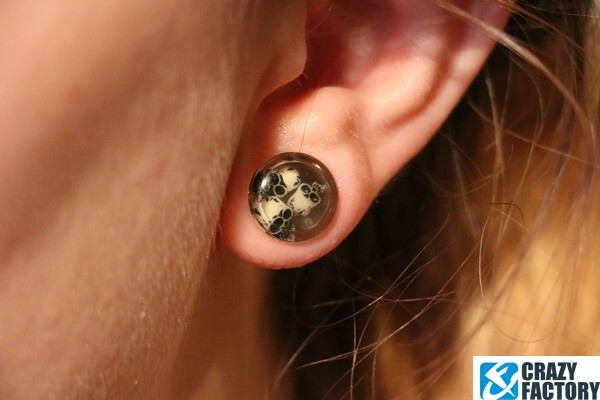 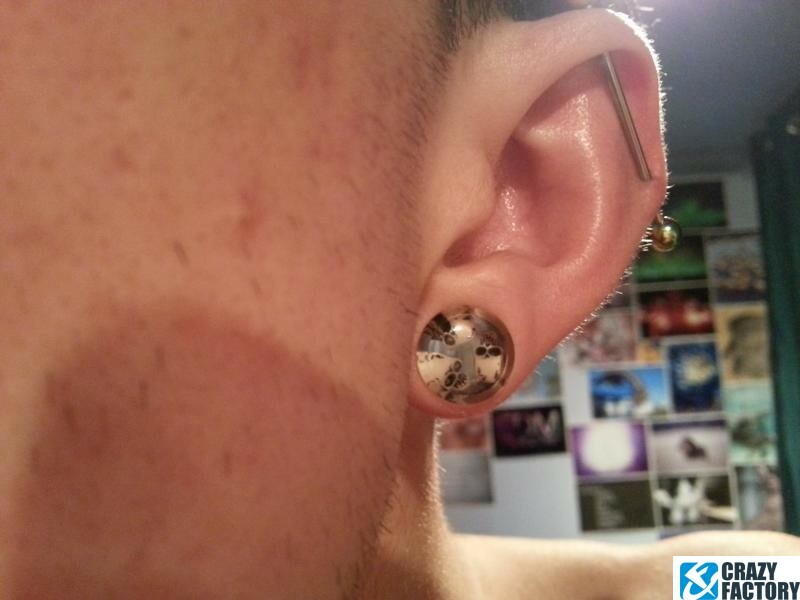 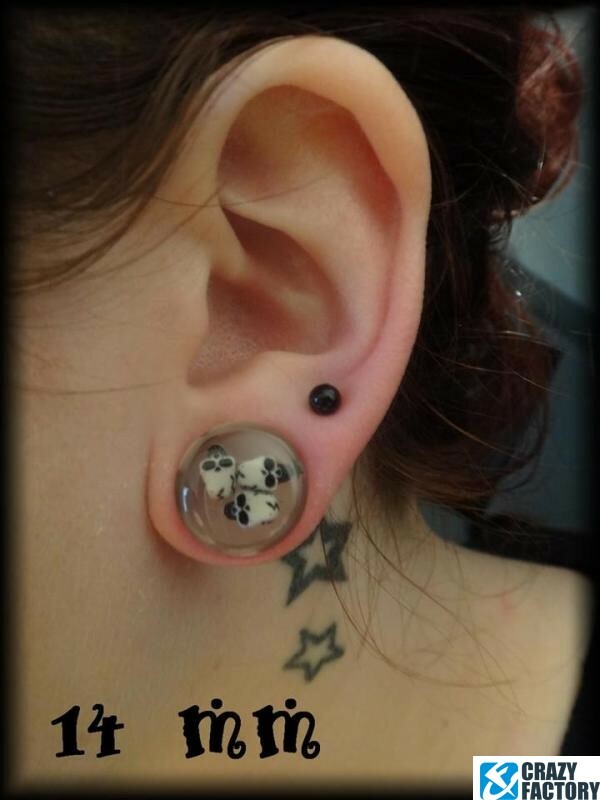 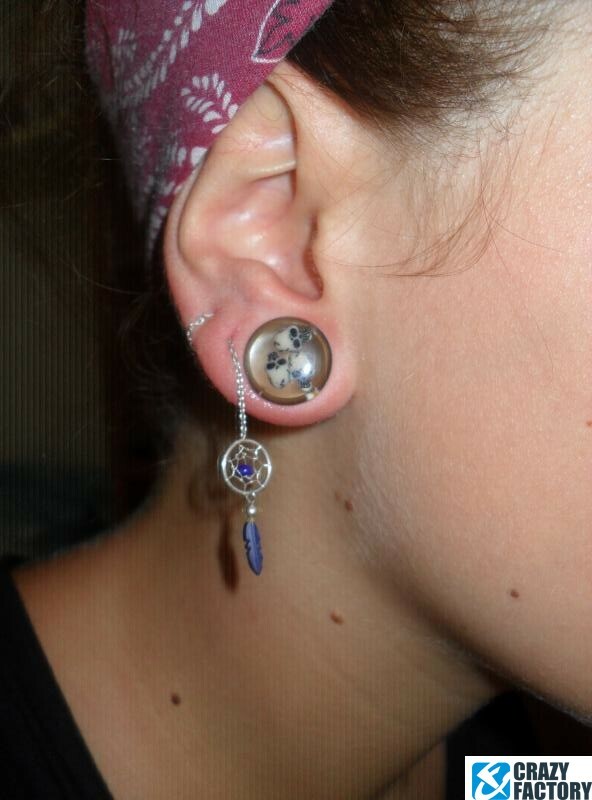 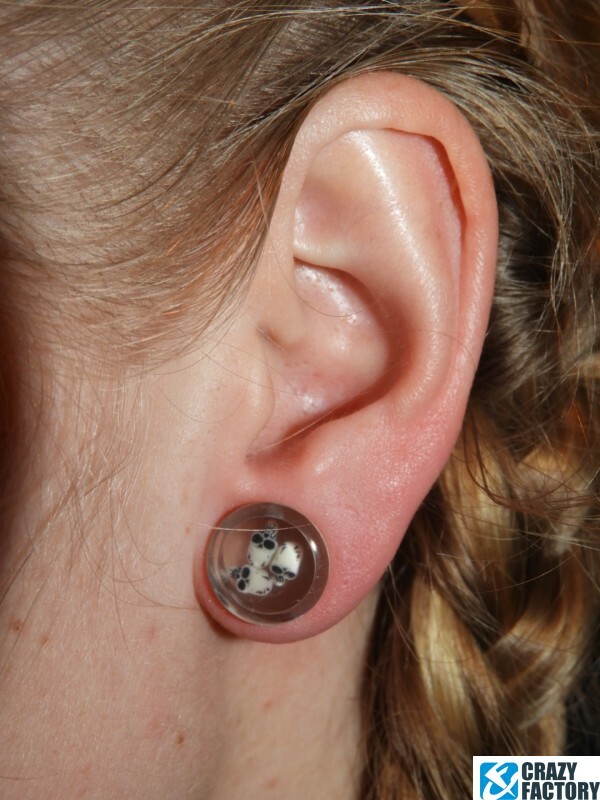 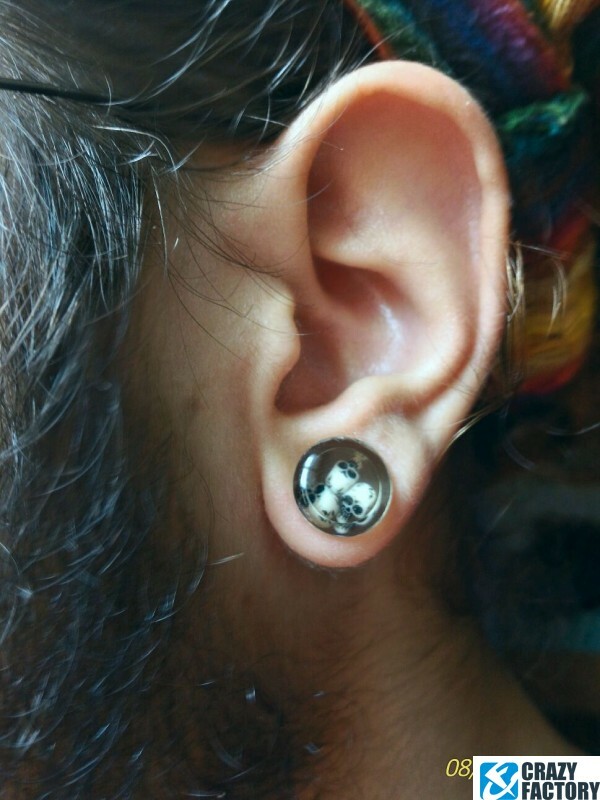 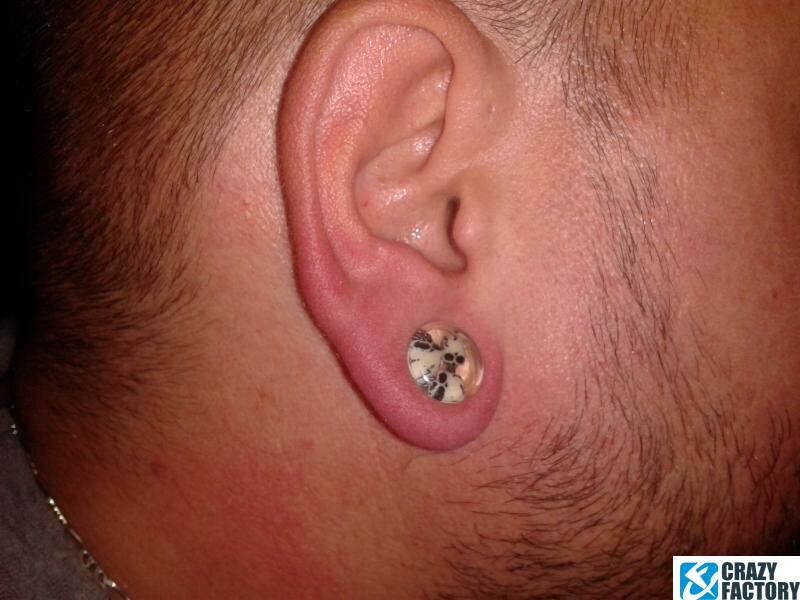 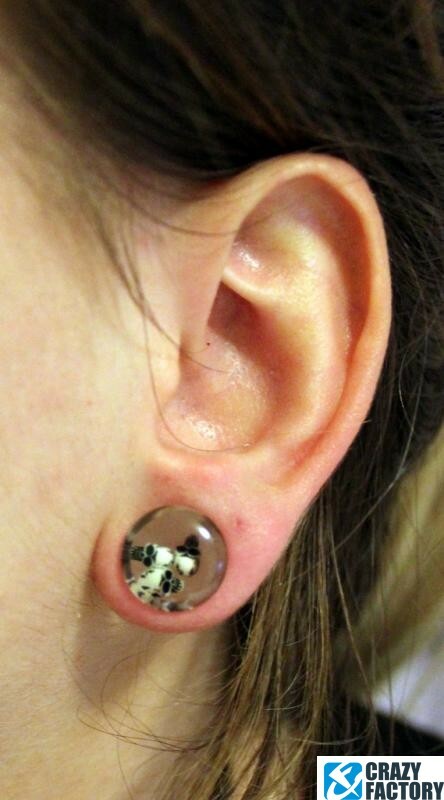 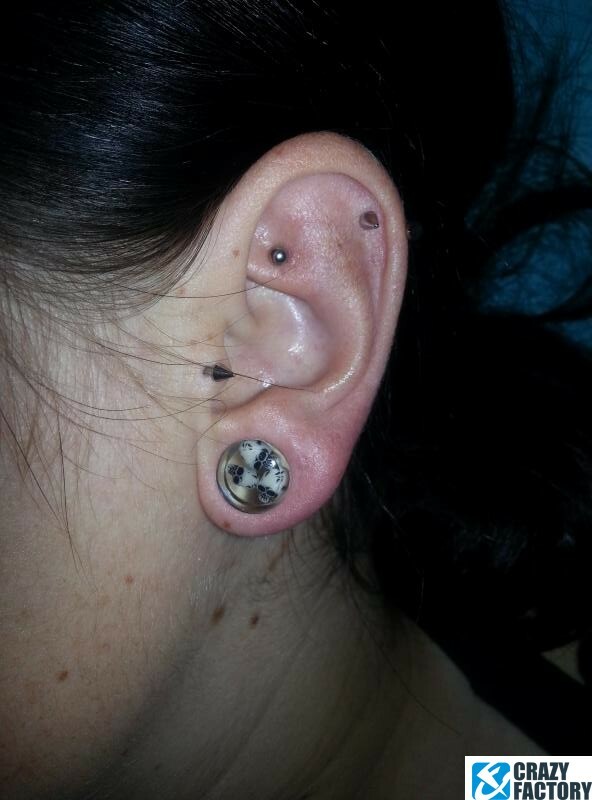 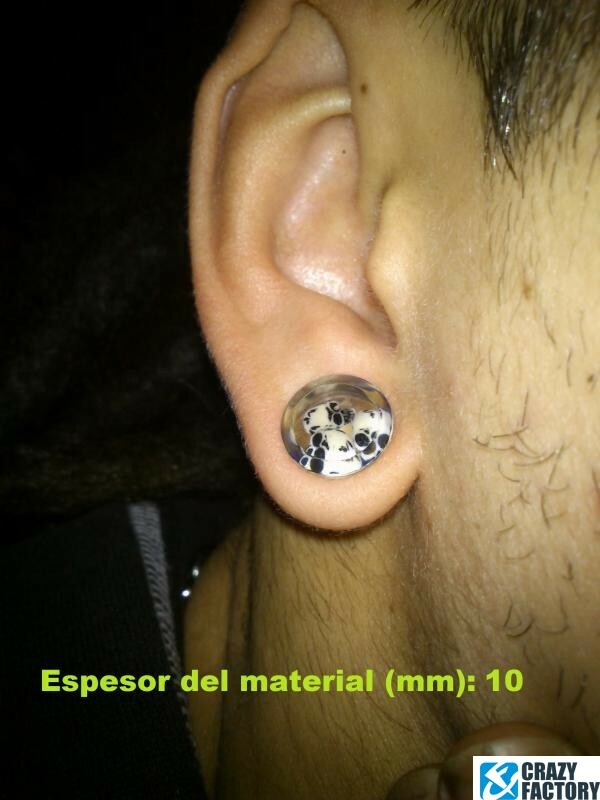 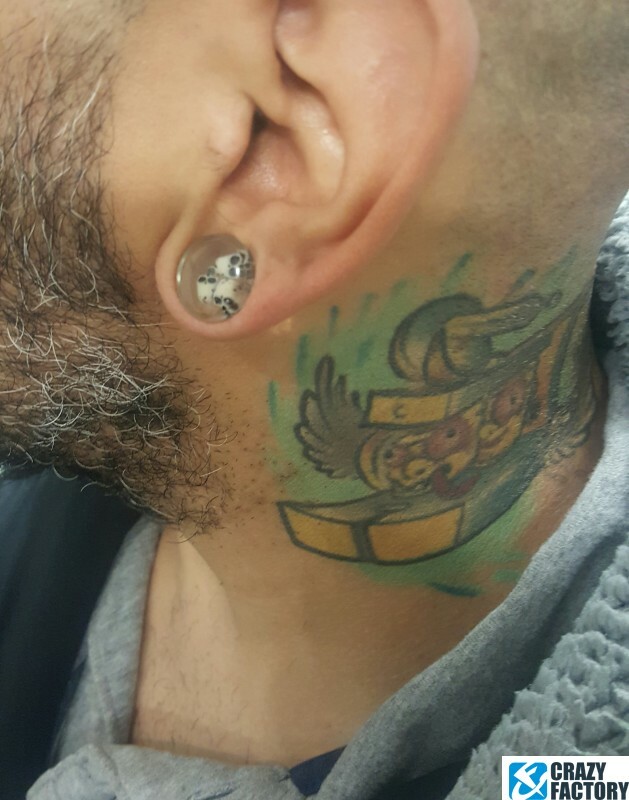 Couple of skulls for your ear? 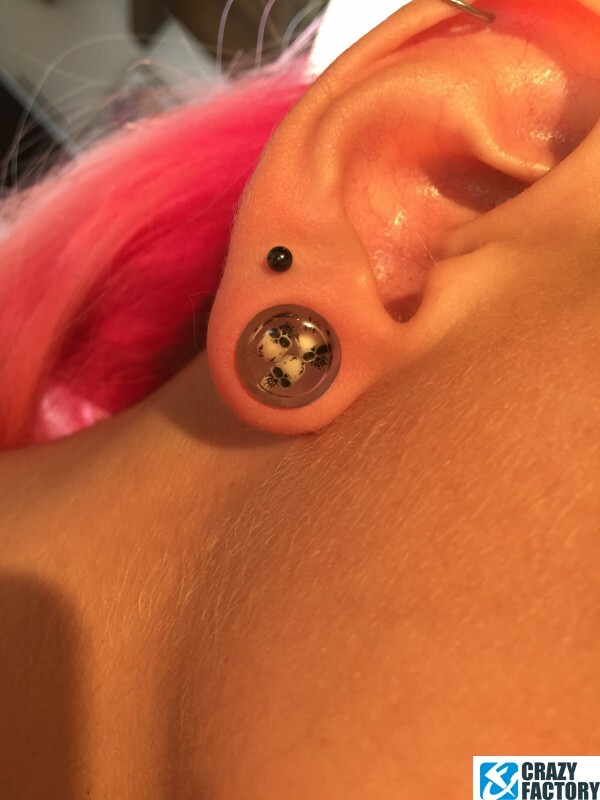 These three jolly fellas come hovering in a transparent plug made of acrylic. 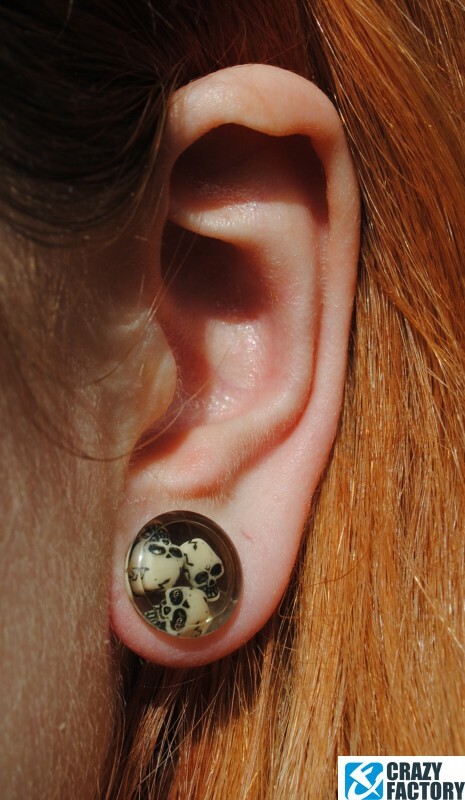 A funky eye-catcher available in various sizes.